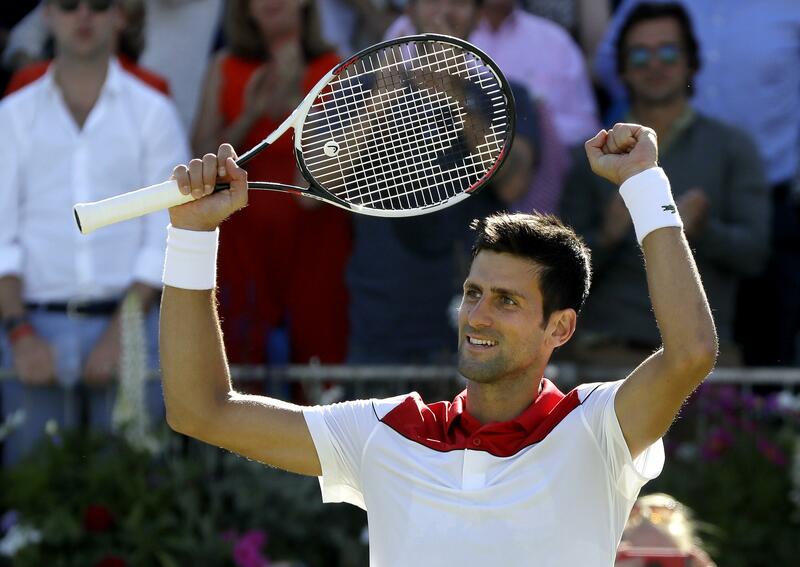 Fri., June 22, 2018, 12:42 p.m.
LONDON – Novak Djokovic became the 10th man to register 800 victories since the Open Era began in 1968 when he beat France’s Adrian Mannarino 7-5 6-1 on Friday to reach the Queen’s Club semifinals. Djokovic, through to the semifinals for only the second time since last year’s Eastbourne International, next meets France’s Jeremy Chardy after he defeated American Frances Tiafoe 6-4 6-4. Top-seeded Marin Cilic also advanced with a 7-6 (3) 6-2 win over 2010 champion Sam Querrey. Cilic now faces Nick Kyrgios, who eliminated defending champion Feliciano Lopez 7-6 (5), 7-6 (3). The Croatian player hit 10 aces and dropped only three points on his first serve against American Querrey. He didn’t give him a break point chance, and broke twice. Kyrgios again served 32 aces against Lopez, as he did in beating Kyle Edmund on Thursday, matching his personal best. Published: June 22, 2018, 12:42 p.m.